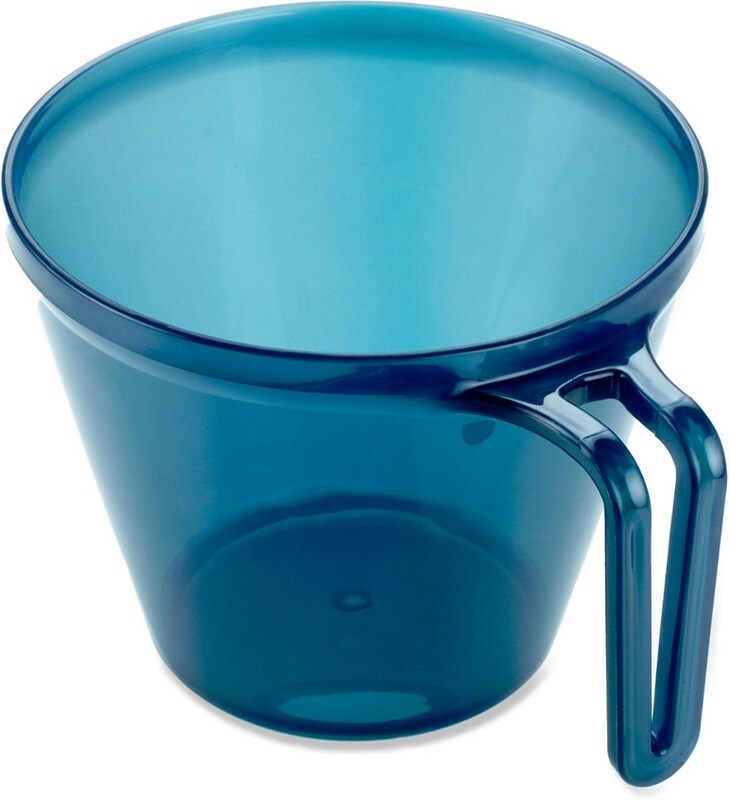 This is the best backpacking cup! It is lightweight and cheap, and it can hook to my pack by the handle, so it's there if I need it. 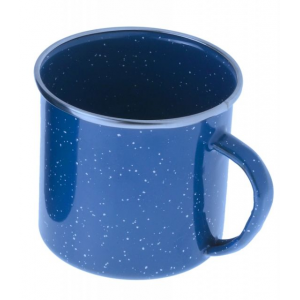 I never leave this cup at home when I go out backpacking. It is my Go-To cup for coffee, tea, and cocoa. Easy to clean and lightweight. My cup has been through everything! 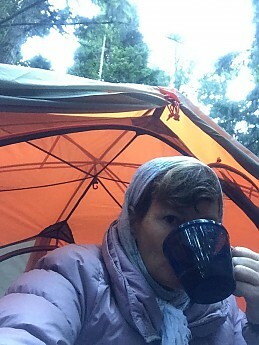 Dropped down a canyon, sat on, lost and then found by a fellow hiker, and still the only cup I ever bring with me backpacking. 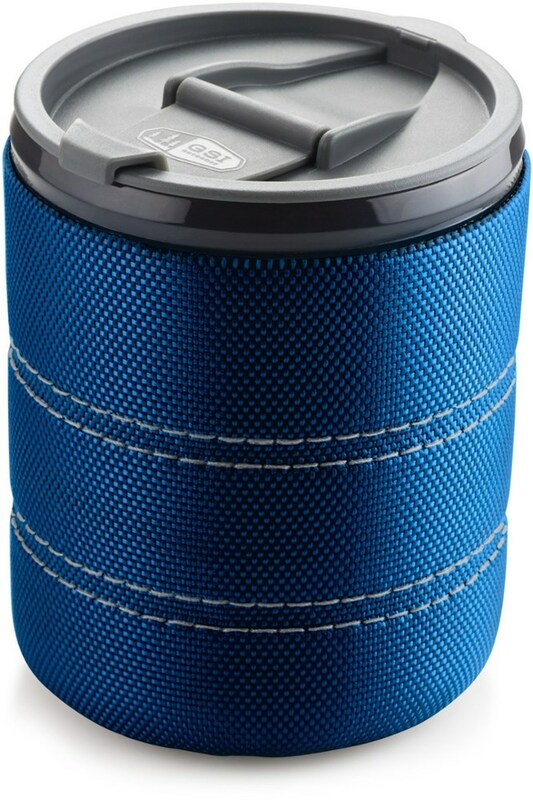 Most ultra light hikers probably don't even bring a cup, but this cup is so lightweight it's worth having with me. 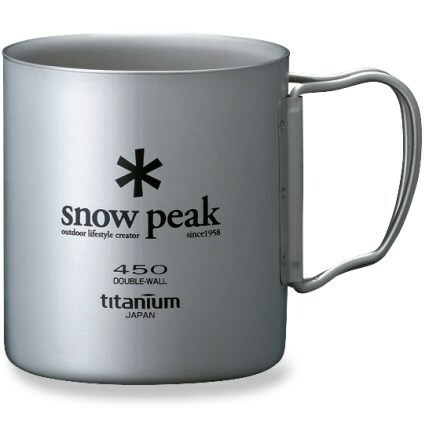 This is not a mug or a Thermos type cup, so it's not going to keep you hot drinks hot for a long time, of course. 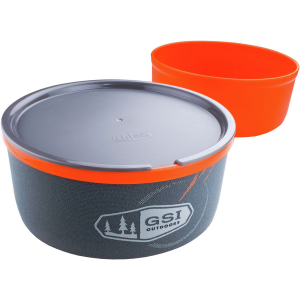 I eat rather quickly on the trail so it works great for me. When I make my coffee in the morning I drink it within 5-10 minutes and same with my hot drinks at night. I pretty much make my food, eat it right then and there, and then pack it all up. 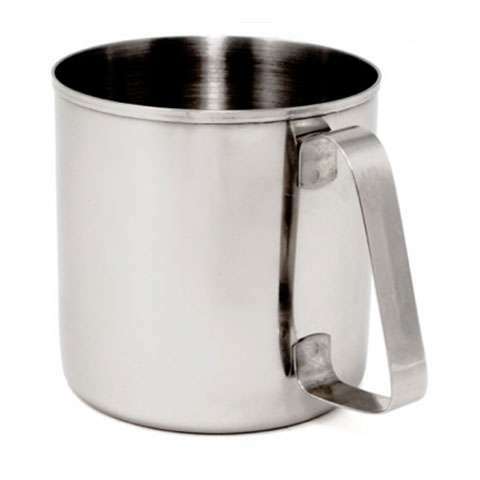 I needed some kind of heavy duty lightweight cup because I sometimes eat my dinner right out of the pot. 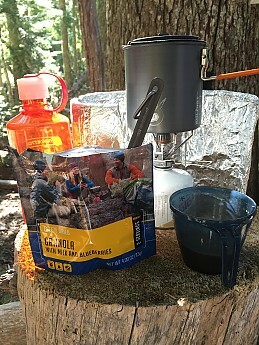 So this way I boil water of my coffee first, then pour the rest into my freeze dried food pouch or throw some noodles right in the pot and eat out of it. I just picked up three more this year for family and friends. They are green this year. My original one is blue.